There are three games between ranked teams this week, and a fourth which could have been (stares at Whitewater’s goal-line stats), But there are also other battles between unbeatens, and games worthy staying up late for, and that’s what Quick Hits is looking at this week. Our regular crew is Keith McMillan, Ryan Tipps, Pat Coleman, Adam Turer and Frank Rossi. Our sixth spot goes to a guest each week, and this week’s is Gene Schatz, a Division III football fan whose son played quarterback at Wesley a few years back. Gene has continued to follow Division III very closely and still travels to see D-III games. Take note, D-III parents. You don’t have to leave when your player graduates. What’s the Week 5 game of the week? Keith’s take: UW-Whitewater at No. 3 UW-Oshkosh. By a hair over Whitworth at Linfield. Ryan’s take: UW-Whitewater at No. 3 UW-Oshkosh. Preseason, this was a no-brainer. Even now, still a good one as UW-W vies to stay in the playoff hunt. Pat’s take: No. 14 Whitworth at No. 8 Linfield. Also like the Wisconsin game but now have questions about UWO thanks to JCU’s first four weeks. Adam’s take: No. 14 Whitworth at No. 8 Linfield. The Pirates can shake up the NWC, for one year at least. Frank’s take: No. 19 Illinois Wesleyan at No. 5 Wheaton. Thunder can use field to escape bad news, but losing five players never helps midway through. Gene’s take: No. 14 Whitworth at No. 8 Linfield. Interested to see if Whitworth can finally get past the NWC king who lost plenty from last year’s team. Keith’s take: No. 13 Johns Hopkins. Ursinus has scored 35 points in each of its four wins. Ryan’s take: No. 20 Alfred. With a lot left to prove, they’re not even on my ballot yet. Pat’s take: No. 15 Wittenberg. This is a team which is in a significantly different place on my Top 25 ballot than 15. Adam’s take: No. 15 Wittenberg. The Tigers will have their hands full with Denison’s prolific offense led by QB Canaan Gebele. Frank’s take: No. 20 Alfred. Alfred has seemed leg-weary at times, while Buffalo State seems to be improving a little each week. Gene’s take: No. 12 UW-Platteville. Stout is coming off of the victory over St. Thomas and 2 weeks prep could make for a tough game for Platteville. Who has a letdown after a big game last week? Keith’s take: Wilmington. After an overtime win vs. Capital, winning at John Carroll would be a stunner. Ryan’s take: Muhlenberg. Opponent F&M has been hot this year, though this should be a close one. Pat’s take: Luther. A win at home is one thing, but on the road at a rejuvenated program in BVU is something else. Adam’s take: East Texas Baptist. The Tigers hung 79 last week, but will be lucky to score half that against HSU. Not discounting ETBU’s chances, though. Frank’s take: Christopher Newport. CNU had decent bounce-back game at Montclair, but Rowan’s defense could derail their momentum. Gene’s take: Buffalo State, coming off a big win over RPI after trailing at the half, heads to Alfred to take on the Saxons and remain at the top of the E8. Which game should people be watching at the end of the night? Keith’s take: Redlands at Occidental. In support of the fact there’s a game to watch. Ryan’s take: No. 6 Hardin-Simmons at East Texas Baptist. Two undefeated power-conference teams — a perfect recipe. Pat’s take: Pacific at George Fox. Unless I’m watching Redlands-Occidental or the archive of UWW/UWO. Adam’s take: Redlands at Occidental. I can’t wait to see how hungry the Tigers are to finally play their second game of the season. Frank’s take: Redlands at Occidental. D3 Nation should be rooting for Oxy’s players, who are severely undermanned but want to play, to keep this game close. 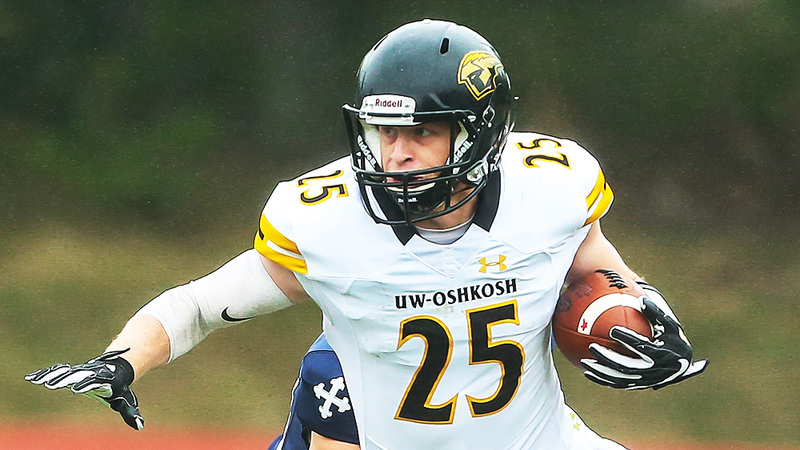 Gene’s take: UWW vs. Oshkosh. Does UWW continue to struggle this year and the loss puts them out of the playoffs or do they climb back into the discussion? Who surpasses their 2016 win total this week? Keith’s take: Rochester (2). At Becker, the Yellowjackets get their second 2017 win following a 1-8 2016. Ryan’s take: Birmingham-Southern (2). Against Trinity, they’re looking for win No. 2. 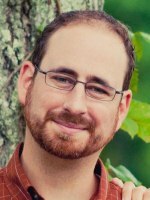 Pat’s take: Allegheny (2). The Gators will have a challenge from the Hiram offense but the rebuild will move forward. Adam’s take: Rochester (2). The Yellowjackets pick up the win against a winless Becker squad. Frank’s take: Hartwick (2). Utica has failed to meet expectations while the Hawks’ offense has clicked..
Gene’s take: McDaniel (4). At 3-7 last year, McDaniel looks to pick up win No. 4 against the 1-3 Juniata Eagles. How many NCAC teams will remain unbeaten, and which ones will they be? Keith’s take: Three. DePauw, Wabash, Denison. Ryan’s take: Three: DePauw, Bash and Witt. Pat’s take: Three. DePauw, Wabash, Denison. Adam’s take: Three. Wabash, DePauw, and Denison. Frank’s take: Three. DePauw, Wabash, Wittenberg. Gene’s take: Three. Wabash, DePauw, and Wittenberg. We invite you to add your predictions in the comments below. Download the Around the Nation podcast on Mondays, where Pat and Keith review the Quick Hits that were prescient, and the Quick Misses that were terribly off base. Offensive numbers catch the eye, whether it’s 98 points or this week’s 79 or 332 receiving yards and six touchdowns. But Keith has this thing about defense also being part of the game, and that’s hard to argue, as long as we still play 11 on a side. 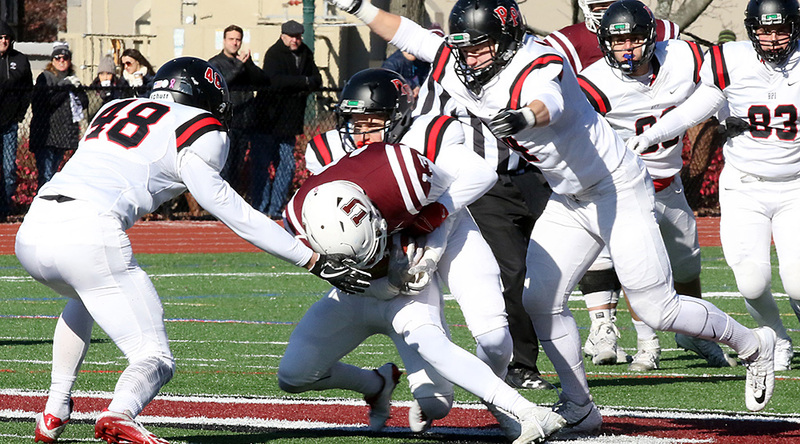 In this week’s D3football.com Around the Nation Podcast, Pat Coleman and Keith McMillan take a look at some of the places where defense shows up, expectedly or not so much. 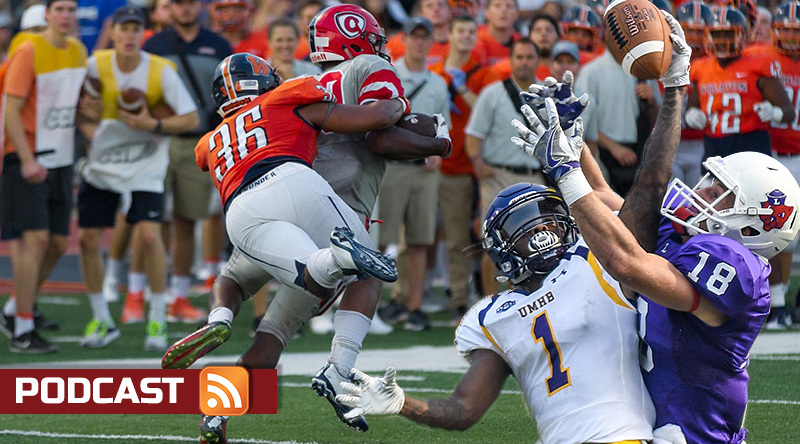 Pat and Keith run through all the top news, the hidden highlights, the risers and sliders, the quick hits and quick misses and more from the week in Division III football. That, plus the game(s) which weren’t played, and what that means for the programs affected.